Look, while we realize 2018 still has plenty left to offer (Halloween, Thanksgiving, a possible presidential impeachment, etc. ), it’s time to look towards 2019. 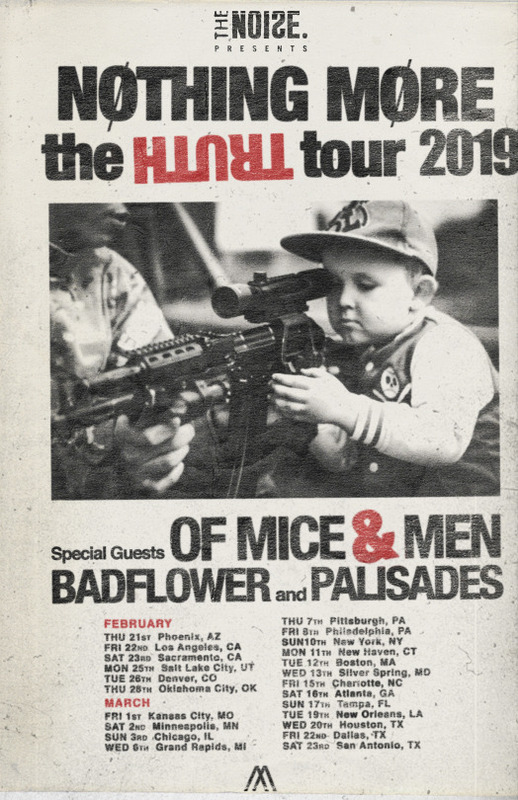 Forget about October, November and December, let’s focus on late February as The Noise will yet again be teaming up with budding hard rock superstars Nothing More for their largest headlining run featuring none other than Of Mice & Men, Bad Flower and Palisades. That’s right! 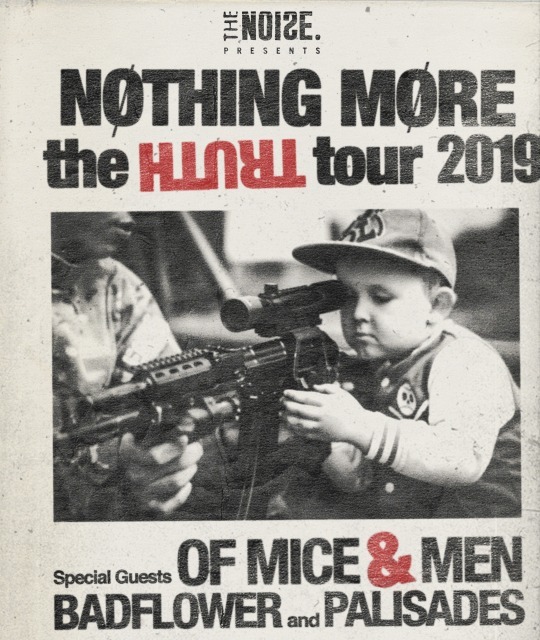 Kicking off February 21st in Phoenix, Nothing More and The Noise will be joining forces to bring you The Truth Tour – aka the most kickass Nothing More experience you’ve ever seen. Speaking of putting awareness into action, to go along with all the great bands on this tour, The Truth Tour will also feature two incredible organizations at all 23 dates: HeadCount, the non-partisan voter registration organization that handles first-time and all voters’ registration needs, and To Write Love on Her Arms, the non-profit movement dedicated to presenting hope and options for people struggling with depression and addiction. $1 from the purchase of every ticket will be donated to To Write Love On Her Arms. As for HeadCount, Executive Director Andy Bernstein shares a similar enthusiasm saying, "This is an exciting partnership for HeadCount, and we’re thrilled to start our 2019 touring season with Nothing More. The tour reflects HeadCount’s driving ethos that your vote is your Truth. We appreciate how Nothing More empowers and challenges their fanbase to become more engaged in the democratic process – and the band leads by example with their own civic participation. We’re looking forward to registering and educating voters with Nothing More and shedding light on just how easy it is to make your voice heard." Tickets for the upcoming can’t miss tour will go on sale to the public this Friday at 10am local time. For a chance at exclusive pre-sale tickets, stay tuned to all Noise socials. For VIP packages, which include The Meet & Greet Package and the Early Entry VIP Package (both featuring a limited edition, autographed copy of the 10th-anniversary re-release of 2009’s The Few Not Fleeting on clear vinyl), head here. 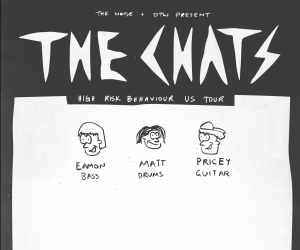 For tour dates, see below.